Medicare Supplement insurance policies, commonly call Medigap insurance, are designed to supplement the benefits under the traditional Medicare program (Medicare Parts A & B). Medicare Supplement insurance is a kind of health insurance policy sold by private insurance companies to fill the “gaps” in Original Medicare Plan coverage. Medigap insurance plays an important role in providing health insurance coverage for Connecticut Medicare beneficiaries by covering certain expenses not covered under Medicare, such as deductibles, co-payments, and co-insurance. Additionally, some of the Medigap plans pay for expenses that are not covered under Medicare, like extended hospital stays, excess charges, and emergency medical care while traveling outside of the country. Medicare plans are standardized and labeled with letters A through N. The benefits within a lettered plan are identical making it easy to compare the different plans. The Medicare Improvements for Patients and Providers Act (MIPPA), enacted in 2008, included changes recommended by the National Association of Insurance Commissioners (NAIC). Congress requested that the NAIC modernize and develop the standardized Medigap policy designs. The revisions protect consumers by adding more benefit options and eliminating duplicate benefits. Before buying or replacing an existing Medigap plan consumers should make sure the purchase is suitable for them. In Connecticut, Medigap plans are available on a guaranteed issue basis at all times and rates may not vary based on an applicant’s age, gender, or health status. A pre-existing condition limitation may apply if an applicant has no prior creditable coverage or has experienced a gap in coverage. Existing policyholders are free to replace their existing policies with one of the new plans, if they feel one of the new plans is more suitable for them. You must be Medicare-eligible (in general, over age 64.5 years old) and covered under Original Medicare. Medigap policies don’t work with any other type of health insurance, including Medicare Advantage Plans, employer/union group coverage, Veterans Administration (VA) benefits, or TRICARE. Anyone who is on Medicare Part A and Part B, or is about to become Medicare-eligible can buy a Medigap policy. In each standardized Medicare Supplemental insurance plan, benefits are identical from one company to the next. 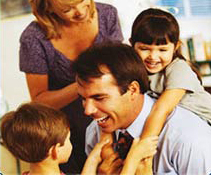 This makes plan comparison far easier than it is for general individual health insurance. However, premiums may vary widely between companies. In most cases, you should compare plans from different carriers. As you shop for a Medigap policy, be sure to compare the same type of Medigap policy. For example, compare a Medigap Plan F from AARP with a Medigap Plan F from Anthem BlueCross. You can get a quote from one of our Medicare Supplemental partners by completing the form to your right. Who Provides Medicare Supplemental Insurance? Medicare supplemental insurance is provided by private insurance companies such as AARP, Anthem BC/BS, Globe Life, Mutual of Omaha, United American, United Healthcare and many others. Remember that Medigap insurance companies can sell you only a “standardized” Medigap policy. All Medigap policies must have specific benefits so you can compare them easily on the basis of price. InsuranceCT.Com provides great rates on Connecticut Medigap policies. Get started with our form above and we’ll get back to you with a plan that fits your needs and your budget.